Visit Asha Urban Baths. CRKW Studio provided full service Architecture and Interior Design for Asha Urban Baths. 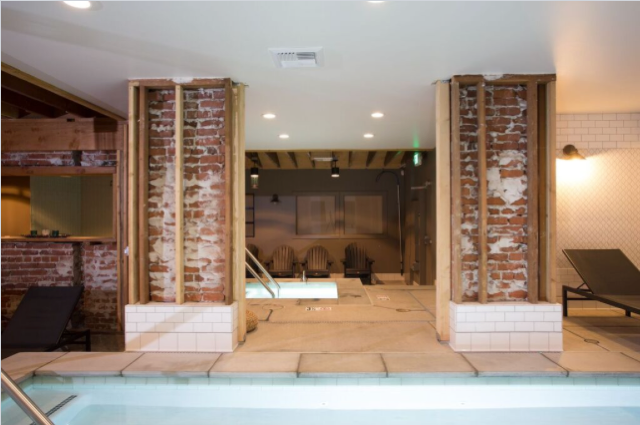 The existing structure was a modest brick building so we decided to celebrate the material by exposing the raw brick wall the divided the center of the building and allow passage from one side to the other to enter different programmatic experiences. The baths, sauna, and steam room all provide sanctuary for relaxation. See also Asha Urban Baths.